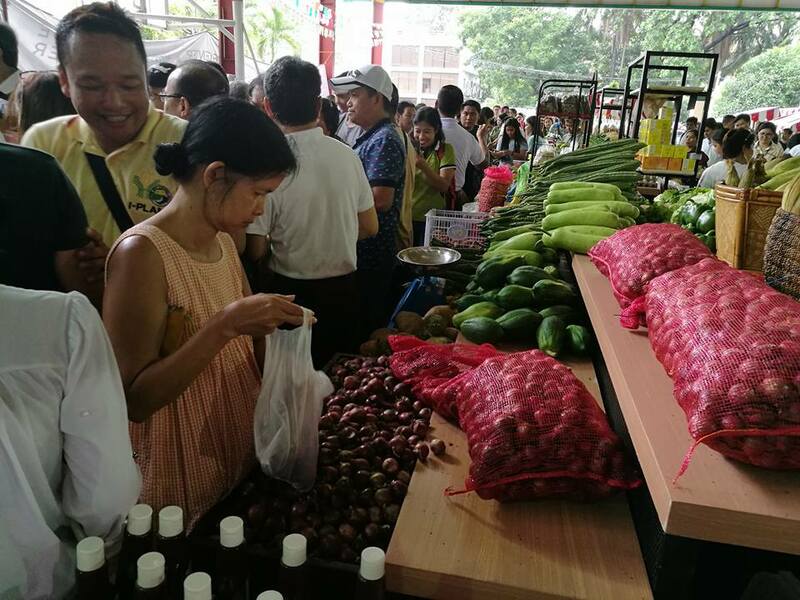 The heavy rains of Typhoon Gorio did not the multitude of eager metro residents from trooping to the Bureau of Plant Industry compound in San Andres, Manila for the launching of the TienDA Farmers Outlet yesterday, July 28. Food items which came from almost all parts of the country which were supposed to be displayed and sold for the scheduled 3-day event were literally grabbed by eager buyers who were amazed at the very low prices. Papaya from South Cotabato.was sold for P5 a kilo, pineapple from Leyte was sold for P10 a piece while organic fresh vegetables from the Cordillera were sold at farm gate prices. By 4 p.m. yesterday, the stalls were almost empty with the late comers asking for more. Today, Saturday, metro consumers came back to.buy whatever food items were left after yesterday's buying binge. 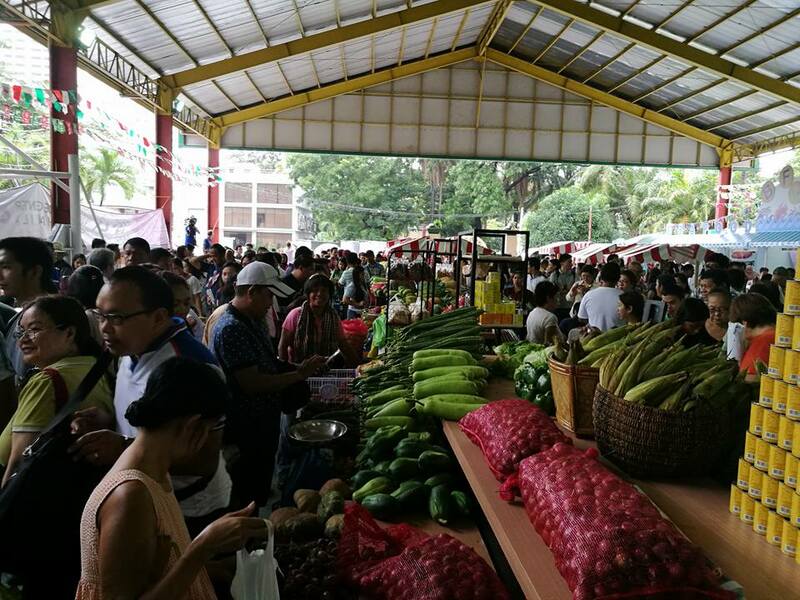 As of 4 p.m. today, Undersecretary Berna Romulo-Puyat reported that the sales for Saturday totalled P435,244. 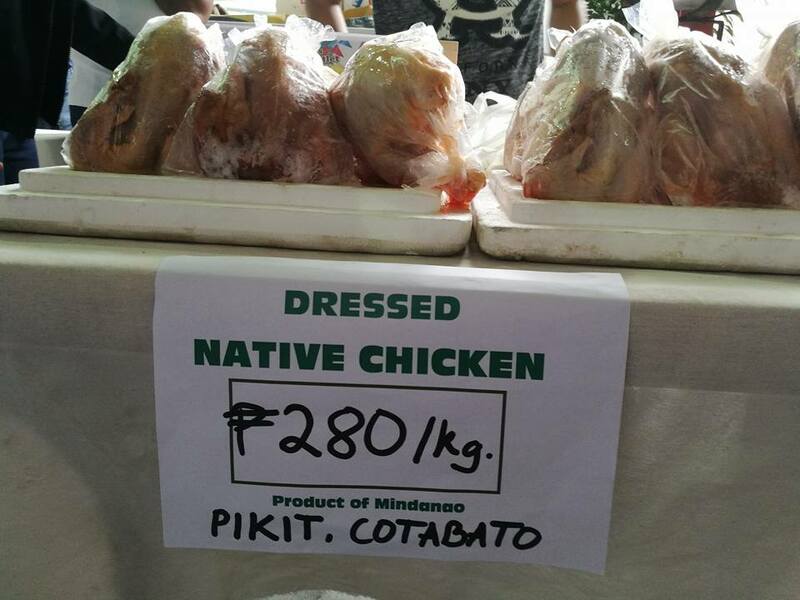 In two days, TienDA Farmers Outlet sold P1,070,395. 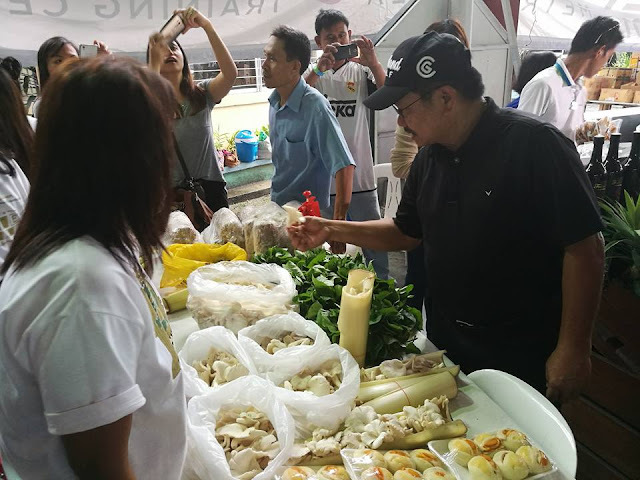 Senator Loren Legarda, herself a weekend farmer, was deeply impressed by the enthusiasm of the consumers who braved the heavy rains, some of them coming from as far as Bulacan. 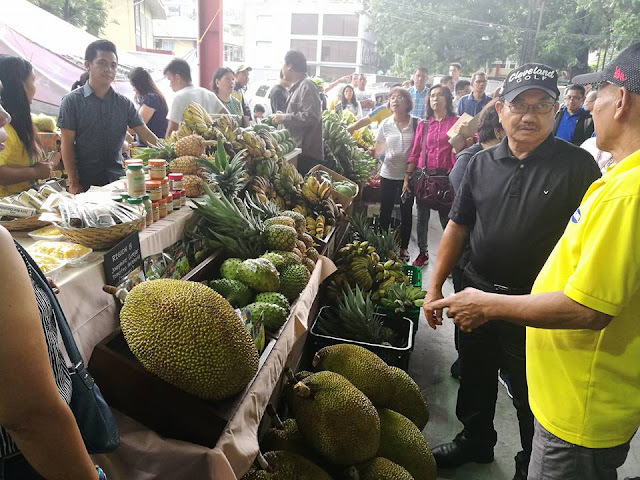 Sen. Legarda suggested that the TienDA should be held more often to satisfy the thirst of metro consumers for fresh food items at farm gate prices. Manila Cong. Harry Angping, who came with his wife, Naida, also a former congresswoman, asked DAF to hold more TienDAs in Manila. Undersecretary for Agribusiness and Marketing Bernadette Romulo Puyat said the next TienDA will be held in two weeks time, preferably in Quezon City. The next TienDA will carry more farm products listed as "Hot Items" based on the preference of the consumers yesterday. 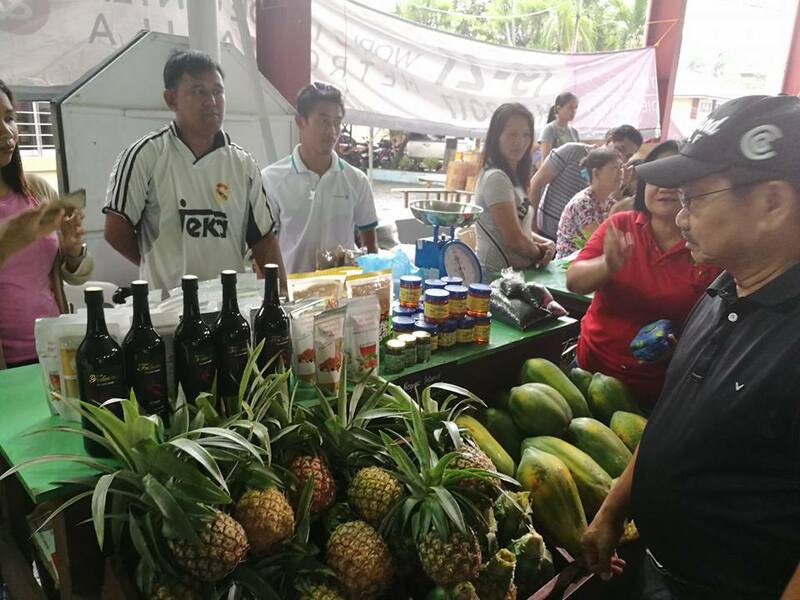 The TienDA Farmers Outlet is the first step in the implementation of President Rody Duterte's commitment of making Food Available and Affordable to the Filipinos. 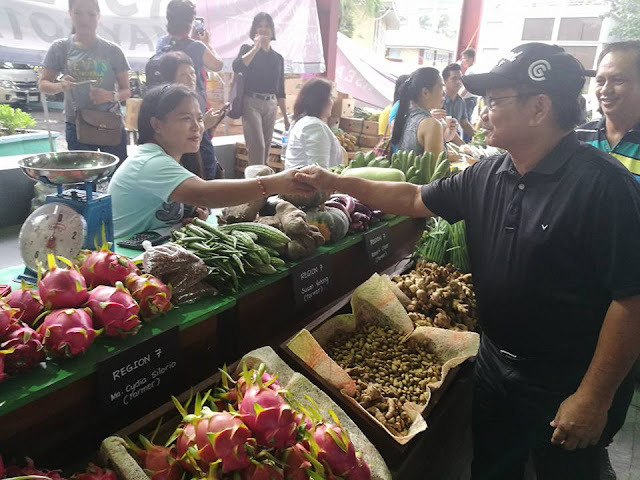 It is part of the Agriculture Department's advocacy to lessen the tiers and layers of middlemen, traders and dicers who operate in between the food producers and the consumers. In the Philippine Food Supply Chain, the presence of the layers of dicers and middlemen results in lower income for the food producers and higher prices for the consumers. Before the end of the term of Pres. Duterte, the Agriculture Department hopes to establlish Farmers Outlets in key urban centers in the country. These outlets would managed and operated by farmers' and fishermen's associations and cooperatives.